When I was getting into computers, we had a variety of companies making different microprocessors. There was Intel, Zilog, Sun, IBM, Motorola, MOS Technology, National Semiconductor, TI, Acorn, HP, and several others. It seemed that in the home market, at that time made up of Apple, Atari, and Commodore (and a few others), most chips were derived from the Motorola 6800. (the 6502 was a derivative of the 6800). So these were called the "6ers". Their next generation systems were all based on the Motorola 68000 processor and successors. In the business market, most were first based on the Zilog Z80 (the CP/M machines), later supplanted by the Intel 8088 and follow-on chips. So these were called the "8ers". Within the Unix workstation world, most started with the more powerful Motorola 68000 before going with a variety of RISC-based processors (Sun SPARC, HP PA-RISC, IBM PowerRISC, etc). But not so in the world of smartphones, tablets, and the Internet of Things. Surprisingly, most of these systems use chips based on Acorn's RISC architecture, called ARM (the "A" originally stood for Acorn). With the decline in desktop/laptop sales, Intel has struggled to get into the world of smartphone, IoT, etc, with limited success. Very few cellphones are Intel-based. I can only think of the Motorola RAZR i. I had heard Intel was pushing to get into smartphones a couple of years back, but no idea where that went. I think the only tablets that are Intel-based are the later Surface models. They have also been trying to get into the world of IoT several ways. 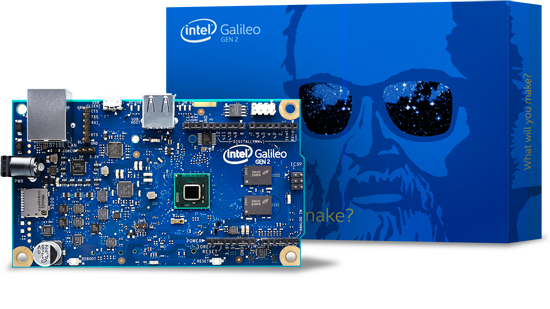 Here I'll look a at their work with Arduino: the Intel Galileo, the Intel Edison, and the Intel Curie. Arduino boards have been using various ARM-based microcontrollers and the such. 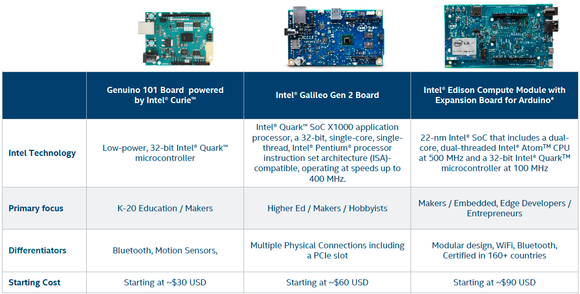 All these use SOCs within Intel's Quark line. This early foray (there have been 2 versions so far, there are differences in the 2 boards) was developed with the Arduino folks, and is Arduino compatible. It can use Arduino shields and can be programmed with the Arduino IDE. The Generation 2 board has an Intel® Quark™ X1000, which is a 32-bit Intel® Pentium® processor-class SOC, operating at speeds up to 400MHz. 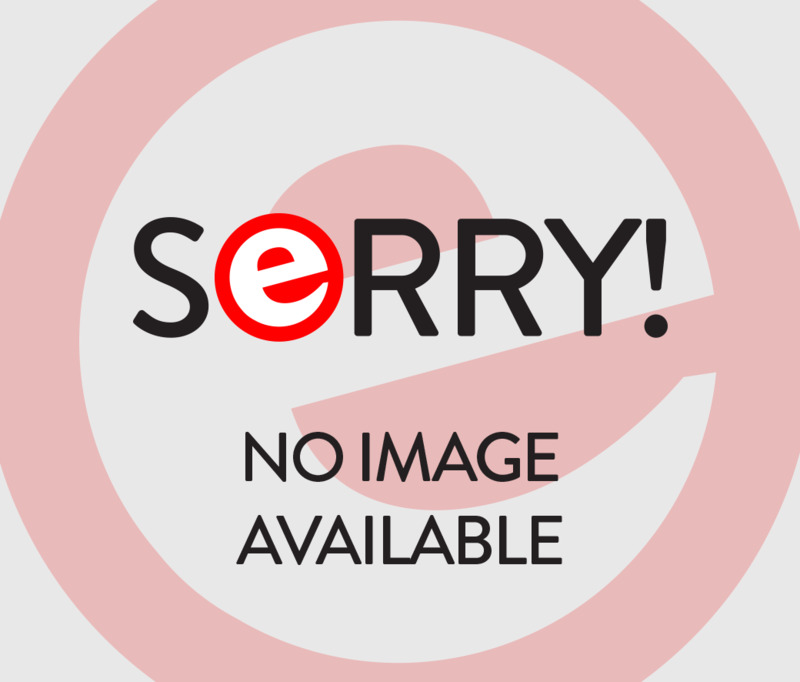 This processor supports the Yocto 1.4 Poky Linux distribution. The board is larger then the standards Arduino board, having more connectors including a full-sized mini-PCI Express slot, 100 Mb Ethernet port, microSD slot, USB host port, and USB client port. In the area of memory, it has 256 MB DDR3, 512 kb embedded SRAM, 8 MB NOR Flash, and 8 kb EEPROM standard. The board is a bit pricey, running around $75, so not sure how widely used it is. For information on the board, there are a few sources on-line. 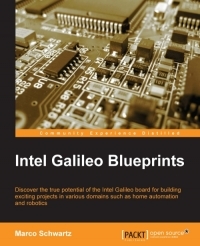 Intel info on the Galileo Gen2. Their documentation page is HERE. 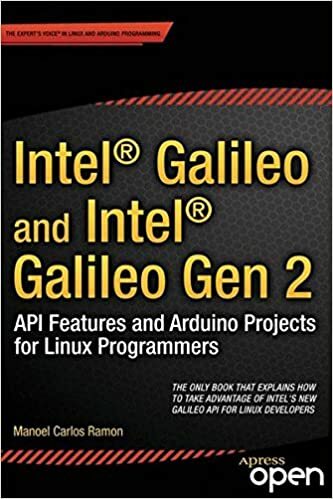 Arduino info on the Galileo Gen 2. Getting Started with the Galileo Gen2. Sparkfun info on the Galileo Gen 2. 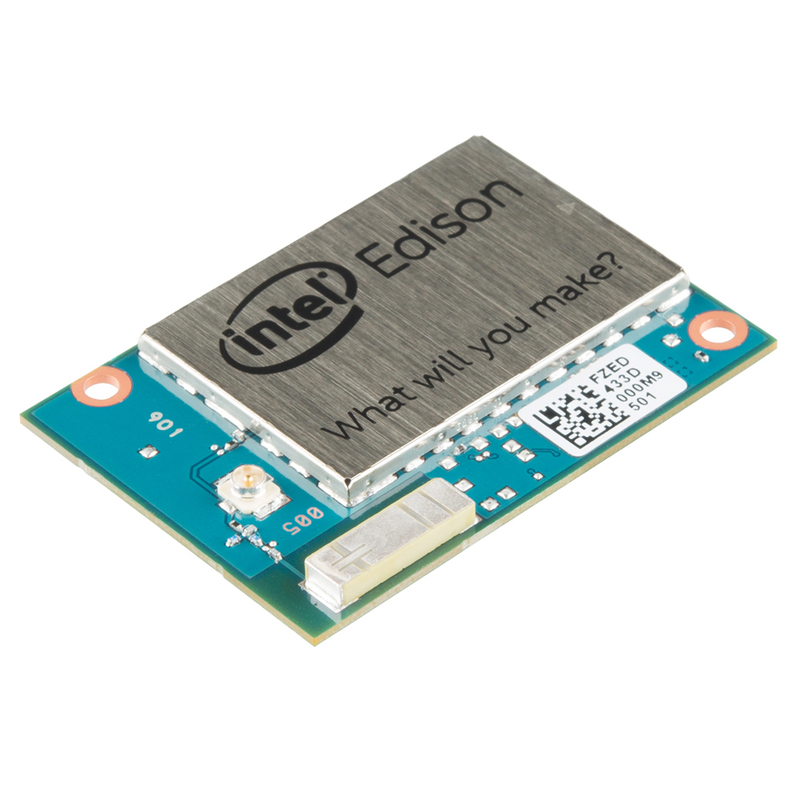 A different device is Intel's Edison. The ultra small Edison module is basically a small single-board computer which packs an Intel® Atom™ SoC dual-core CPU with integrated WiFi, Bluetooth LE along with 1GB RAM and 4GB of Flash memory. By default it has Yocto Linux installed, which is an embedded Linux distribution, tho others can replace it. The module was originally planned to be the size of an SD card, but wound up being a little larger. The module has a compact 70-pin connector. It can be connected to an variety of boards or "blocks". Intel has 2, one a mini-breakout, the other is an Arduino breakout, which allows for Arduino shields to be used. Sparkfun has a variety of blocks that can use the Edison and can be stacked. A newer device is Intel's Curie module. At present, I think it's only available thru the Arduino 101 board. Not even sure you can purchase the module by itself. When it was first spoken of, it was planned to be button sized, and the final product is close to that. It's intended to be used in wearable items. Books: so far none, but look like some are coming. I have an Edison, but haven't had the chance to work with it to the extent I'd like. If others have done so, please comment.